Mobile Display models for ground breaking construction product. This is the latest batch of display models for Concrete Canvas, a rapidly expanding South Wales company with an innovative construction product. 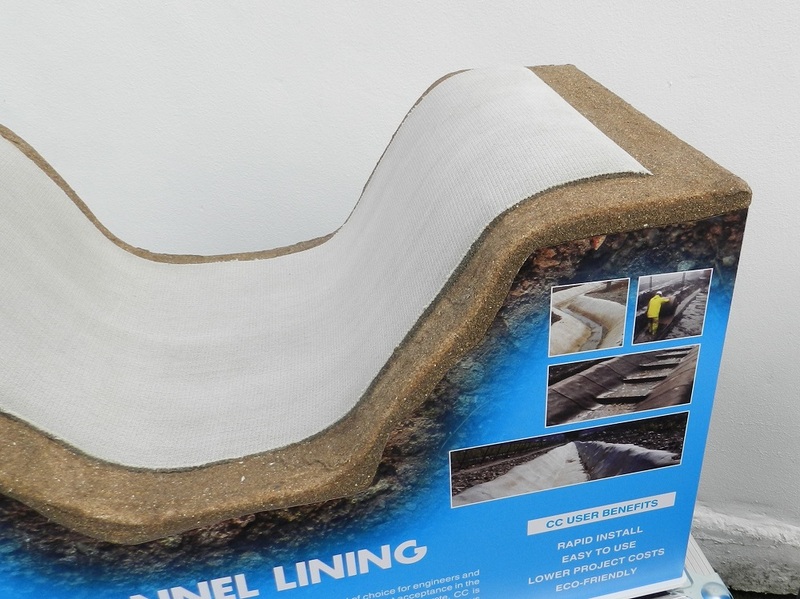 The models are designed to help their sales team demonstrate the speed and simplicity of the company’s unique, concrete based fabric which comes on a roll but sets solid when soaked with water. The models feature the actual product formed over simulated earthworks. Each model was supplied with a purpose-built flight case (shown in main image) to protect it in transit and for storage when not in use.